The Project operates 2x 15 seater luxury minibuses providing community transport. 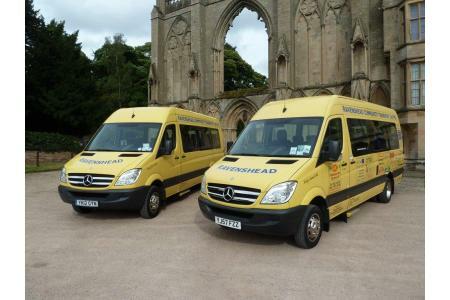 The principal aims & objectives of Ravenshead Community Transport (RCT) are to provide community transport for the residents of Ravenshead and other local communities within a 10-mile radius. Particular emphasis is placed on older residents & the disabled and we provide a number of door-to-door services which reduce social exclusion and enhance their quality of life, health & well-being giving them greater independence and allowing them to stay longer in their own homes. Through RCT we have built stronger local communities with healthier and more active residents. We have improved relationships with health related bodies. This door-to-door, caring, professionally managed, fully accessible community transport service is very much a valuable local asset and customers are delighted with and fully support our services. We are always looking for volunteer drivers to give as much or as little time as they are able.